TrailMed Ltd in partnership with SkyTrails (for unmanned aerial systems) is developing novel uses for drones for search and rescue and the delivery of life-saving devices and medicines. We have partnerships and relationships with organisations interested in the research and development of life-saving technologies. Partners include the University of Leicester and Brecon Mountain Rescue. Brecon Mountain Rescue is voluntary organisation and charity. The team can be (and is) called out at any time of day or night, under any conditions, even on New Year’s Day and Christmas Day. A leading UK University with a long history of excellence in Space and Earth Sciences. 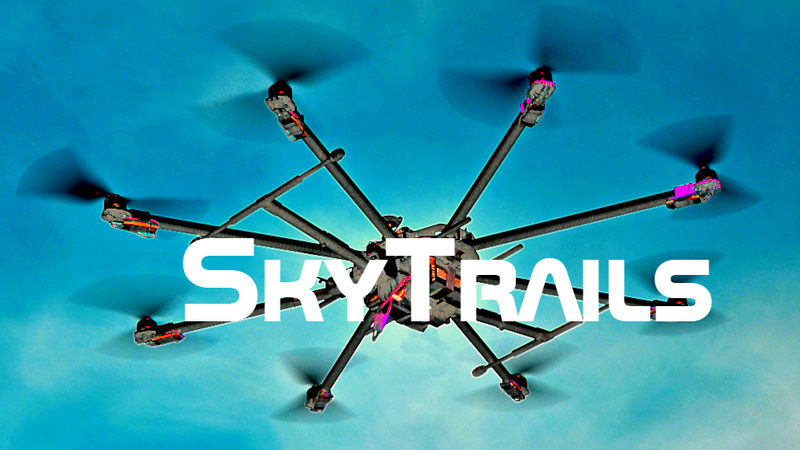 With a fleet of multi-purpose "unmanned aerial systems" UAS or drones and CAA Permission for Commercial operations, SkyTrails is developing partnerships to use drones in innovative ways. We can also provide the usual services such as aerial video and images and an "Eye in the Sky" for your events. Drawn from the three partner organisations, a truly diverse and talented team drawing from a wealth of experience! Reiko joined the University of Leicester in 2004 as Reader and was appointed Professor in Software Engineering in 2007. Before, he held academic positions in Paderborn and Dortmund. He studied Computer Science at the Technical Universities of Dresden and Berlin and received his PhD (Dr.-Ing.) from the TU Berlin in 1998. Reiko is known for his work on model-based development, re-engineering and testing, model transformations and the semantics of modelling languages. He published extensively on graph transformation, its concurrency theory, timed and stochastic variants, modularity and refinement. Lecturer in the Department of Informatics, University of Leicester. Research interests include algorithms in industrial appliations. Founder and Medical Director of TrailMed. Consultant Anaesthetist, pilot, BGA instructor in Sailplanes and Remote Pilot Aerial Systems (RPAS). He is involved in the design and manufacture of drones and bespoke aerial vehicles.